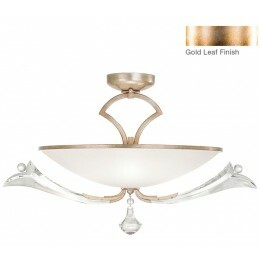 Semi-flush with sculptured crystal leaves with botanical accent berries, projecting from uniquely scrolling branches finished in a gold leaf finish with subtle antiqued edges. 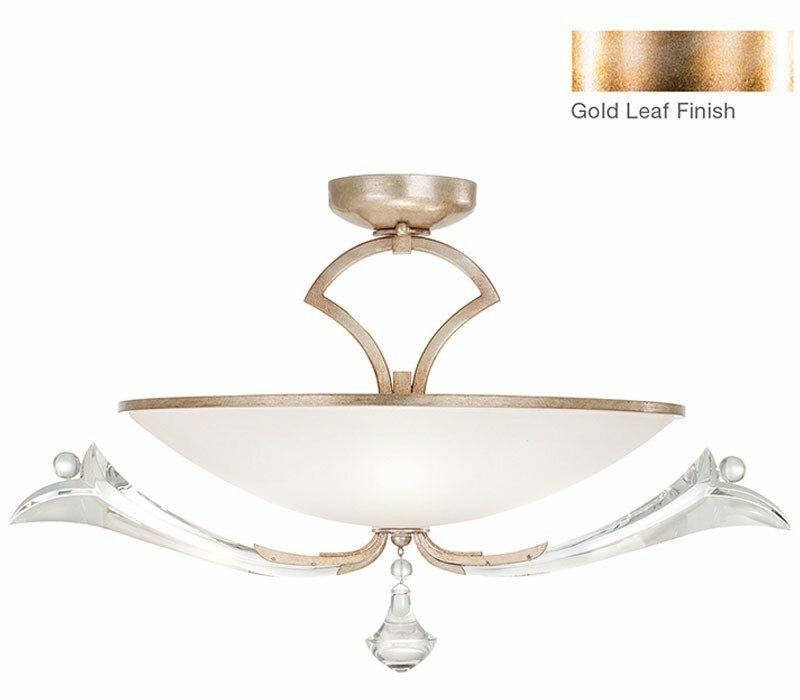 The Fine Art Lamps 856440-2 Ice Sculpture collection Close to Ceiling Lighting in Gold Leaf uses Incandescent light output and brings Antique style. This item is 17"H x 27"W x 19.5"D. The total wattage is 180 and the voltage is 120 volts. 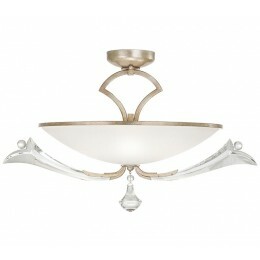 The Fine Art Lamps 856440-2 requires 3 bulbs (not included). Additional Information: Shade-Sculptured Crystal.